Becoming an impactful artist is one of the most rewarding careers possible but building a successful career cannot be put down to one key idea or piece of advice – there are no shortcuts! In this workshop we’ll give you an insight into how to build a successful career. A workshop that deals with strategies to grow your audience and how get people to sponsor your dreams. What information do you need to gather? How do you pitch to different industries? What are the different types of sponsorship? How do you access sponsorship when you do not fit the norm. You’ll get a unique insight into how this is done, and how to sell your ideas and vision to potential sponsors. Welcome to a new Meet the Artists lectures and performances. Featuring leading figures in music and slam poetry, the talks reveal sources of inspiration, working methods and development of artistic careers followed by performances. In December we proudly present two prominent artists – mark your calendars! Zimbabwe has a rich, diverse musical heritage. The traditional music genres are just as varied as the ethnic groups inhibiting the country. Legendary musician Busi Ncube from Zimbabwe gives you an insight to the country’s rich repertoire of music traditions as well as to her own amazing career. Busi will perform her own music after the lecture. Busi Ncube is one of Zimbabwe’s leading artist. In October she was the recipient of the UK Lifetime Achievement Award for her work as a musician during the past thirty five years. She sings in six African languages and her distinctive singing style has made her popular with music fans throughout Africa. As a founder member of the afro-fusion group Illanga, alongside Andy Brown, the late Don Gumbo and Keith Farkharson, the group released a number of hit tracks through the ’90′s. 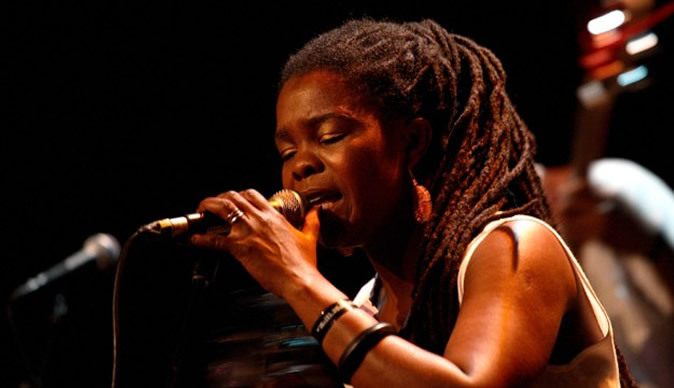 Busi has collaborated with many famous musicians and has performed alongside Youssou n’Dour, Bruce Springsteen, Marie Boine, Women’s Voice and many more. Learn about slam poetry and why spoken word poems are inspirational and fun to watch when performed live. 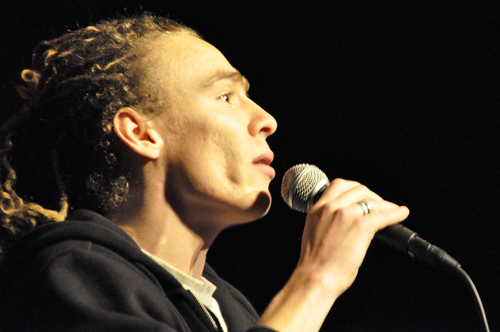 One of the country’s leading slam artists Taro Westøl Cooper will give you an insight into the background and history of slam poetry, addressing issues of societal, political and personal material concern using the spoken word format. The lecture also serves as a sneak peek at the creative process used when writing slam poetry, followed by his own performance. 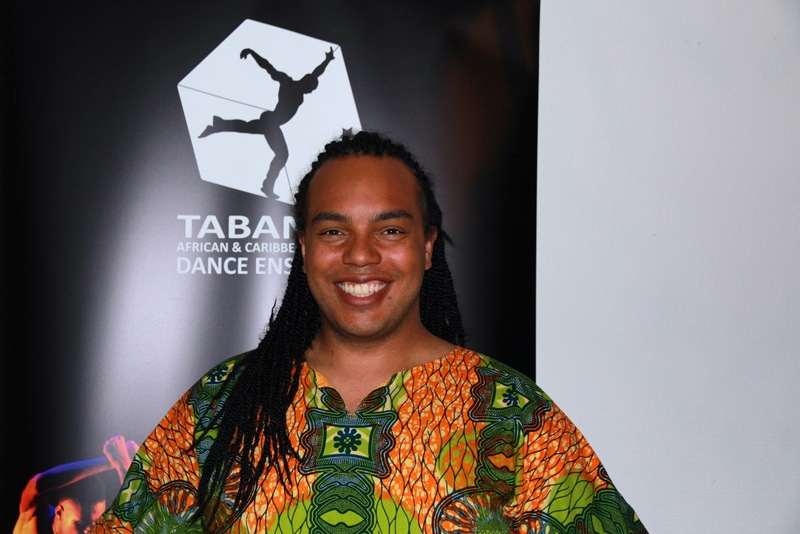 Norway and Scandinavia Slam Champion Taro Westøl Cooper is a graduated actor from Nordic Black Xpress and employed by Nordic Black Theatre in Oslo. His slam poetry has been going strong for many years – as a solo performer and in collaboration with, among others, the Norwegian National Opera Orchestra and the Oslo Philharmonic Orchestra. Taro is also the person behind SLAM! Poetry Scene events at Cafeteatret in Oslo and is touring regularly in schools all around the country. Global Oslo Music is proud to announce Nomzi Kumalo’s premiere. The most exquisite poet, her lyrics are embraced by music inspired by jazz, blues, folk, country, indie pop and so much more. 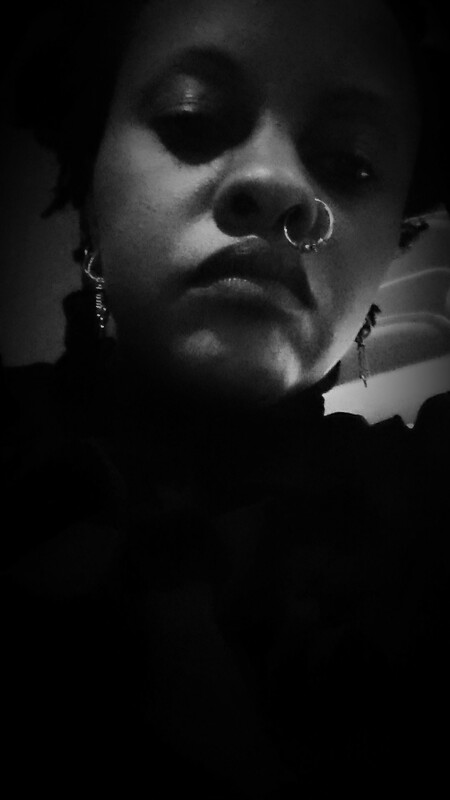 Nomzi Kumalo is a singer songwriter, poet and mother. Born in East London, South Africa, one of four children. In her songs she expresses the will to find peace as a human being in this world. Today she works steadily to compose arrangements to the lyrics and melodies she has written and composed. The accompanying musicians for her first solo concert ever at Teaterkjeller’n are Ketil Kielland Lund (piano), Elle Maija Bær (guitar), Ole Bendik Eilertsen (guitar) and Glen-Vidar Solheim (drums).